Advertisements are everywhere these days. On your phone, your social media, on menus, billboards, in magazines, and on t.v. We see repeated imagery in the form of the same logos and taglines being thrust into our conscience several times a day. Everyone can recall (and probably draw) McDonald’s’ arches, Facebook’s icon, Macy’s big red star, and Apple’s iconically simple logo. But can you actually draw a rough sketch of a logo for 3 non-profit organizations? How about 5 organizations? 10? As I rack my brain thinking, I can only keep remembering even more logos from for-profit companies: Nike’s symbol, Best Buy’s price tag, Pepsi’s emblem, NBC’s peacock, Disney’s castle, Starbucks’ logo, Twitter’s bird, and Target’s bullseye. According to the National Center for Charitable Statistics (NCCS), there are currently over 1.5 million 501(c)(3) organizations operating in the United States. With that many, you’d think at least 5 or 10 non-profit brands would come to mind. This is a problem. And it’s a problem because non-profits aren’t advertising their missions in a big or recognizable way. Why would people support or donate to a non-profit if they can’t identify or acknowledge the existence of one? Where, indeed? Obviously consumer dollars will flow to the for-profit businesses if non-profits cannot promote themselves. Myth: Self Promotion Hurts Their Image. 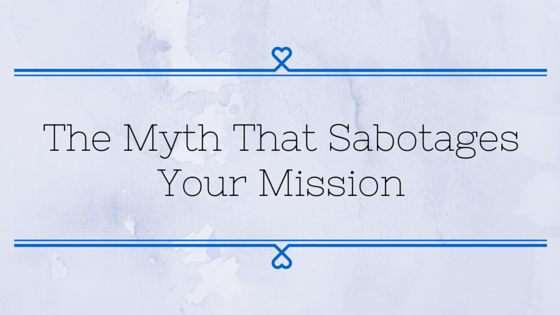 Reality: Self Promotion Helps Spread Your Mission! Many non-profits adhere to the notion that advertising and marketing are actually harmful to their mission. Afterall, why spend money on a TV commercial when that money can be given directly to those in need? Here’s why this notion is actually incorrect: Think of some of the major non-profits – Goodwill, St. Jude Children’s Hospital, Red Cross. All of these organizations advertise and promote themselves in the media. In turn, more people become of aware of their mission and volunteer, support, and donate. The cost of marketing is small compared to the outcome it produces! Pallotta hits the nail on the head, here. Besides, how many people can support your cause if they do know it exists? Google offers eligible non-profits a free advertising grant valued at up to $120,000. This grant enables the non-profit to advertise their mission on Google – the most visited website in the world! Can you image seeing your organization’s mission advertised when you go to Google? Hundreds of thousands of people will also see your group too, and they will click to learn more. Interested in this free advertising opportunity? If so, click here to learn more! Using social media is great way to help get the word out about your non-profit. Create a profile for you non-profit on any of the social media platforms you regularly use, and engage with others as that profile (instead of as your personal profile). Post pictures of what your group is up to, invite friends to “follow” or “like” your page, and make sure to update it consistently so people can stay up to date with your organization. Creating and hosting an event on behalf of your organization is another way to get people to notice your non-profit. Invite people you know who support your cause, and tell them to spread the word. Also, it would be beneficial to create a short presentation to show your attendees what your group’s vision is, what you have done so far, and what you need to achieve more. Speak honestly, and speak to people’s emotions; your passion will be felt! Create flyers or brochures for your guests to take, and again, ask them to spread the word about your non-profit. Non-profits are doing remarkable things; it’s impossible to mention it all! From combatting bullying, and helping veterans, to flying halfway around the world and setting up a dental clinic in a poor village – non-profits truly are the ones who are trying to change the world for the better. Advertising and promotion are necessary for success and support. If non-profits want to make an big impact and help more people, they need to get noticed. They need to get their brand and logo out there so that they can stay top-of-mind with people who could very well become supporters, volunteers, and donors. They need to let the world know that they have a mission and a desire to change the world for the better.